Prime Minister Benjamin Netanyahu has returned from triumphant visits to the United States, Australia and Singapore. Now is the time for him to display courage and make serious decisions that will determine his legacy — as either one of Israel’s great leaders or a failure. We are living in a crazy world which was stunned by the surprise election of the upstart Donald Trump. The new American president has proceeded at breakneck speed to reverse the politically correct approaches of Barack Obama, which included endorsement of groups like the Muslim Brotherhood. Trump is the first American president to confront the bias of the liberal press. His haste to implement some policies, such as his decree limiting immigration, led to chaos and ultimately was curbed by the courts. However, Trump’s election is regarded as a gift by many Israelis. 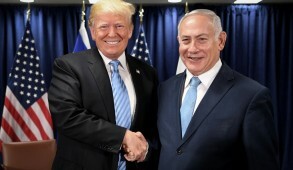 His uninhibited display of warmth and gestures of friendship toward Israel and Netanyahu have raised Israel’s standing in the eyes of many nations that were implicitly encouraged to condemn Israel by the Obama administration. That the U.S. now treats Israel as a genuine partner will enormously benefit us at all levels — politically, economically and militarily. There is already a profound impact at the United Nations, where Trump’s newly appointed Ambassador Nikki Haley clearly stated that the U.S. “will not turn a blind eye” to Israel bashing and will demonstrate “ironclad support for Israel and intolerance for the U.N.’ s anti-Israel bias.” Beyond that, the administration has warned that it may pull out of the obscenely anti-Israeli U.N. Human Rights Council, which would send a powerful message. But this is the tip of the iceberg. Another most astonishing development is the almost open alliance between Israel and the moderate Sunni states, which Trump has been actively encouraging. The relationship with Egyptian President Abdel-Fattah el-Sissi, including defense and intelligence sharing, exceeds the heady days of the late President Anwar Sadat. Likewise, senior Saudi spokesmen have been downplaying their traditional hatred of Israel and, with the other Gulf states, calling for a united front against the efforts of the Shiite Iranian terrorist state to achieve regional hegemony as a nuclear power. Trump has vowed to reverse the appeasement policies of Obama and reiterated that he would never come to terms with a nuclear Iran and will take steps to neutralize its global terrorist activities. Remarkably, Israel has developed a relationship with Vladimir Putin’s Russia, notwithstanding its support for Syria. Thanks to Obama’s blunders, Russia now occupies a dominant position in the Middle East. Hopefully, Trump’s policies will not cause any ruptures in Israel’s interaction with Russia. In Asia, Africa and some European countries, the bonds with Israel are being strengthened because those seeking a better relationship with Trump sense that his affection for Israel is genuine. This atmosphere provides Israel with opportunities to move forward in relation to settlements and a policy toward the Palestinians. 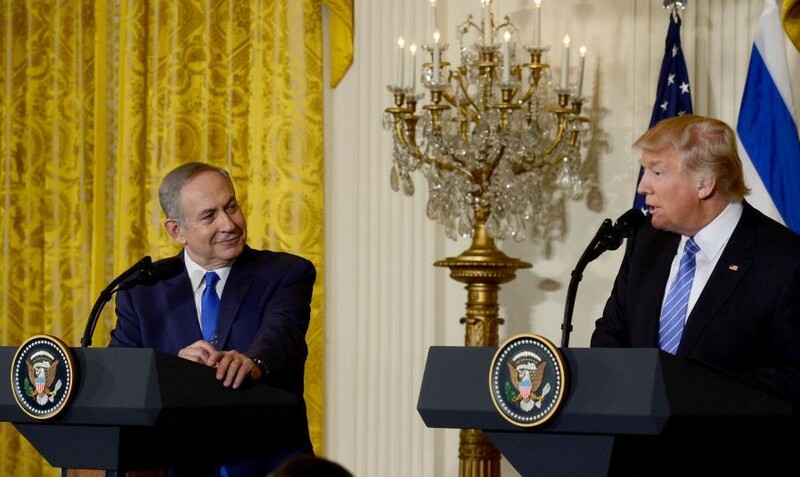 Trump has said that he is not committed to a two-state policy and that if the Israelis and Palestinians can find another solution, he would be supportive. 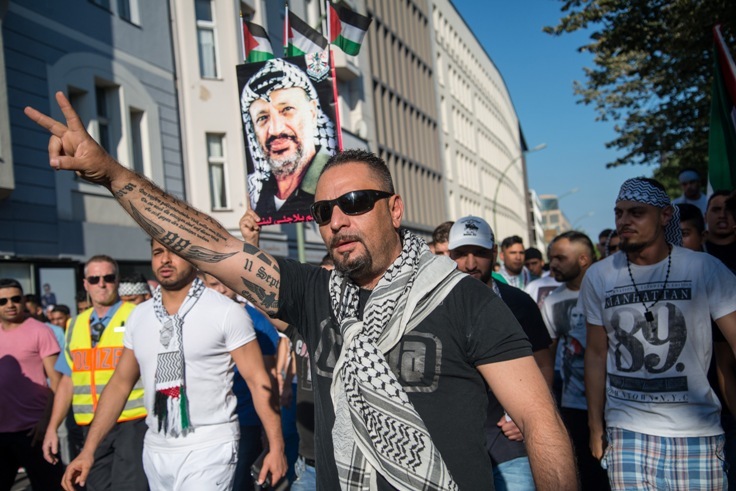 But in the course of professing his love for Israel and his determination to act as a genuine ally, he stated that his ultimate objective was to reach a deal that would never undermine Israel’s security. He stressed that Israel would be obliged to make some compromises and stated that excessive expansion of settlements would not be helpful. 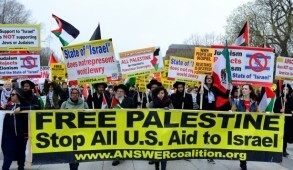 At the same time, he insisted that the Palestinians must recognize Israel as a Jewish state and cease their incitement. He postponed moving the U.S. Embassy to Jerusalem, presumably because he was advised that it could undermine the very delicate relationship brewing between Israel and the Sunni states. While there is still chaos in the administration with gaping vacuums in key positions, the hysteria against Trump by American liberals is unprecedented. The liberal majority of the American Jewish community has become engaged in an insane campaign to demonize Trump as an anti-Semite. There is an increase in anti-Semitism in the U.S. and Trump has been tone-deaf not to respond more vigorously. 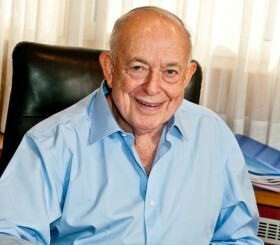 There was therefore some justification for criticism, but having regard to his family, his circle of Jewish friends and his extraordinary outpourings of love for Israel, it is obscene to accuse him of promoting anti-Semitism, engaging in Holocaust revisionism, supporting fascism or acting like Hitler. The visit by Vice President Mike Pence to Dachau and his personal commitment in helping to repair a vandalized Jewish cemetery said it all. Official mainstream organizations like the Anti-Defamation League and the Reform movement have effectively adopted the same role as J Street and engaged in unprecedented partisan activities that have undoubtedly created anti-Jewish hostility among Trump supporters. Yet during the Obama administration, they failed to react to the most dangerous instances of anti-Semitism cloaked as anti-Zionism. 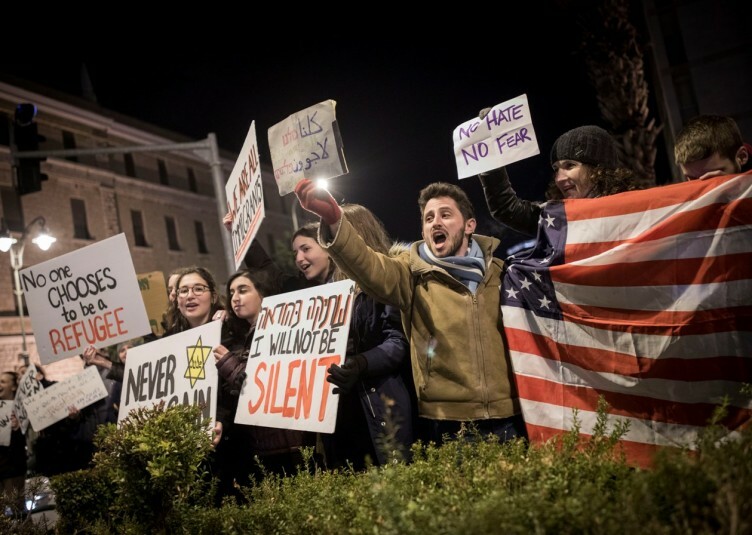 They did not ring the alarm bells when Jewish students were being physically intimidated on campuses for identifying with Israel or when Obama ignored Iran’s calls for the destruction of Israel. Initially, the ADL even defended the candidacy of the anti-Semitic Keith Ellison as chairman of the Democratic National Committee, but it was forced to back down under public pressure. The ADL also refused to condemn the Black Lives Matter movement despite its outrageous condemnation of Israel as an apartheid state. Nor did it object to Linda Sarsour and other radical anti-Israel activists at the forefront of the Women’s March on Washington. Fortunately, today the support of the Christian evangelical movement has more than compensated. But despite the hostility of liberal American Jews and their abandonment of Israel, we are now presented with a unique opportunity to achieve crucial national objectives. Israel’s success will depend on our leaders’ willingness to set aside short-term partisan politics and act in the national interest. Aside from the extreme Left and extreme Right, there is a greater national consensus among Israelis than has existed since the great schism over the Oslo Accords. Most agree that we must separate from the Palestinians and recognize that annexation of all of Judea and Samaria would inevitably lead to a binational state and end the Zionist dream. Yet there is also a clear consensus that an independent Palestinian state today would effectively amount to a terror state at our doorstep. Netanyahu must now spell out our main objectives, which include approval of unlimited building in the major settlement blocs within existing boundaries, defining permanent borders and formal U.S. endorsement for the annexation of the Golan Heights. At the same time, it is also in Israel’s interest to promote greater industrialization and economic infrastructure in the West Bank in order to incentivize coexistence. This would facilitate greater Palestinian autonomy — subject, of course, to maintaining Israel’s fundamental security requirements. This requires Netanyahu to confront not only Naftali Bennett and Habayit Hayehudi but also the radicals in his own Likud party. If he fails to stand up to them, we could face a disaster. 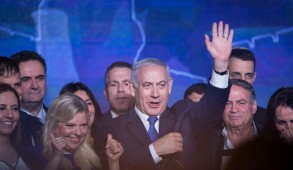 Trump is volatile and if Netanyahu permits the radicals in his coalition to unilaterally initiate annexations, this could easily spark a confrontation — which Netanyahu is desperate to avoid, preferring to work with Trump in close tandem. Trump seems determined to achieve a deal. However, unlike Obama, he is unlikely to promote any scheme that would undermine Israel’s security. Netanyahu must engage positively in these negotiations and if the Palestinians remain inflexible, Trump will in all likelihood fully support us. Yesh Atid Chairman Yair Lapid is today a contender for prime minister. He has been extremely responsible in his statements over the past 12 months. Setting aside personalities, he and Netanyahu probably share a similar vision of what should be done. Were he to publicly support Netanyahu, he would strengthen his own status in the public as a future leader and enable Netanyahu to move forward. Today, we are in a remarkable position. 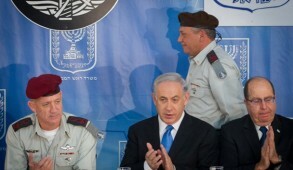 We have been presented with the great opportunity to shape our destiny with a genuinely pro-Israel U.S. administration. But this will depend on Netanyahu and whether he succeeds in resisting the pressures from the radical elements of his own party and coalition. In achieving this, he would have the nation’s support to steer through the diplomatic minefields and capitalize on his personal relationship with Trump and lead the nation toward stability and security.